Alankit stands in the primary league as the preferred Registrar and Share Transfer Agent service provider in the country. Alankit has made its mark in the space with notable achievements including servicing over 6 million investors, handling more than 2 million payment transactions each year, having more than 2 million Demat requests processed, around 2.5 million annual reports (email and physical) with a share registry of 800+ companies. 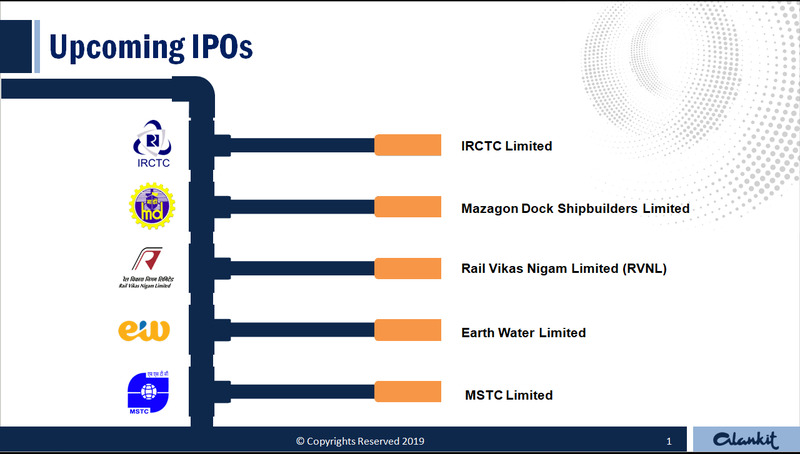 Moreover, Alankit has also successfully managed some of the large IPOs like HUDCO, Bharat Dynamics etc. Alankit Assignments Limited, one of the leading companies of Alankit, has more than two decades of experience in providing share registry, investor communication and voting services to India Inc., being the first RTA to initiate providing Electronic Connectivity with NSDL in northern India. Alankit boasts of its extensive Pan-India presence with 20 Investor Service Centers (ISC) and head -quartered in New Delhi. The company has successfully handled various types of capital market transactions and strong experience in Public Issues, Takeover Process, Buybacks, Bonus Issues, Rights Issues etc. Alankit owns in-house IT infrastructure with the potential to handle large volumes of applications’ with timely execution along with its in-house expertise into printing/ folding/ sealing/ franking & dispatches of all communication documents. Alankit provides professional RTA services through its web-based RTA system that has web applications based on browser for clients with effective checks and controls for higher efficiency. With the focus on making the process more and more customer friendly, hassle free and instant, it yields better communication and a speedy client service. Alankit also gained another technological edge with its RTA app called Alankit RTA app that easily facilitates Demat wise reports, Remat wise reports, easy access to summary and charts along with swift features that include having shareholder/ company data on the go, quick updates, keeping due track of all shareholders and being time efficient with everything available at just a click. We as an organization pride ourselves on innovation, exceptional service and the ability to provide a flexible approach in order to meet our clients' needs. Since inception, we are focused on providing cost effective, reliable and customized professional services to allow companies to effectively manage their corporate secretarial obligations through a trusted and established partner. We understand the needs of our clients and build frank relationships with them to ensure long term business alliances. We deliver customized service solutions to the corporates, ensuring seamless, timely, and valuable reporting suited to individual companies and their investors' needs. The company currently employs experienced, highly qualified and skilled staff, comprising of CS & LLBs to serve the client requirements through a newly introduced in-house online user friendly portal with an easy, secure and 24x7 access to all the client companies. Alankit is well-connected to the NSDL & CDSL servers on a 24x7 basis, being the first Registrar to start providing electronic connectivity with NSDL in Northern India. The advanced and sophisticated technology developed and managed in-house helps in providing efficient, fast and premium quality services to the client companies. Providing electronic services to corporate for securities and debt instruments. Sub – division / split and consolidation of securities. Exchange of certificate and Call endorsement of share certificates. Call notice to shareholders / beneficiaries. ISIN activation and Demat/ Remat of securities. Buy – back of securities and De-listing of securities. Merger / De-merger/ Acquisition of securities. IPO / FPO, Bonus , Rights Issues and Processing Warrants. Arrangement for holding AGM / EGM, Postal Ballot and Attendance Slips for AGM / EGM. Interest payments and redemption of bonds and debt instruments. Commercial Papers and debt instruments. ESOP and Lock-in and partly paid up securities. Rectification of errors, fraction elimination and Investor Complaints. Reports : Share Holding Pattern, Secretarial Audit Certificate, Certificate under clause 47(c), List of Shareholders, Transfer Register, Transmission Register, Split Register, Duplicate Register, Consolidation, Demat/Remat Registers, Mailing List, Dividend Register, Complaints Status, Merger Register, De-merger Register, Index Register, Allotment Register etc. Corporate action form, list of allottees & Board Resolution from the company. Verification of data from depository. Letter to depository for credit and Conformation from depository. Execution of corporate action and rejection checking – after uploading the file. Check for electronic connectivity – whether ISIN activated or not. Information from the company about the details of CP sent to NSDL / CDSL. Issuing Paying Agent (IPA) certificate for allotment from IPA. Letter to NSDL for credit of Commercial paper. Confirmation from NSDL for execution of Corporate Action. Execution of Corporate Action/Release of Corporate Action Information. IPA Redemption Certificate from IPA for redemption. Confirmation from depository for release of corporate action. Physical verification for option cases, file creation, file verification with depository, marking of rejected cases and Final file creation for clear cases. Individual clients could not be effected, clients accounts suspended for debit/credit, invalid client status account closed by the client, insufficient balance etc. Corporate action form for rectification from the company. Letter to depository and confirmation & release of corporate action. Verification of fraction allotment in depositories. Letter to depository for fractional elimination. Debit of fractional allotment and Credit of fractional allotment in trust account. Scheme & record date from the company. Master Creation Form from the company to NSDL for new ISIN. Set up of record date and auto corporate action in depositories. Updating of physical data upto record date and marking of option cases if any. Verification of option cases and allotment as per scheme. Corporate action for allotment & Board Resolution from the company to depository. Confirmation from depository for release of Auto Corporate action. Checking of rejection and formalities for option cases & fraction elimination if any. Corporate action form from the company and list of holders for lock in of shares. Letter to depository and confirmation from depository. Release of corporate action for debit of free shares. On successful debit of shares, release of corporate action for credit of lock in shares. Corporate action form from the company. Letter to depository and confirmation from the depository. Intimation from company prior to allotment of ESOP for file verification. Confirm & copy of corporate action form and details for allotment from the company. Letter to depository for credit of shares and Confirmation from depository. Punching and matching of Call money/allotment money received. Creation of files for conversion – NSDL, CDSL & Physical. Verification with the master data. Letter to depository for debit of partly paid up shares. Confirmation & execution of corporate action for debit of partly paid up shares. Rejection checking & marking the partly paid up shares. Confirmation & execution of corporate action for credit of fully paid up shares. The Board, on March 28, 2018, decided that except in case of transmission or transposition of securities, requests for effecting transfer of securities shall not be processed unless the securities are held in the dematerialized form with a depository. This measure was to come into effect from December 5, 2018. Subsequently, SEBI has received representations from shareholders for extension of the date of compliance. In view of the same, the deadline has been extended and the aforesaid requirement of transfer of securities only in demat form shall now come into force from April 1, 2019. Rajesh Projects & Finance Limited.